We left the bar,and walked into one opening,we found a door. Hassan turned the door handle and pushed gently. There we found Chet Waston in the company of a Lady,not less than 21 years of age.
" 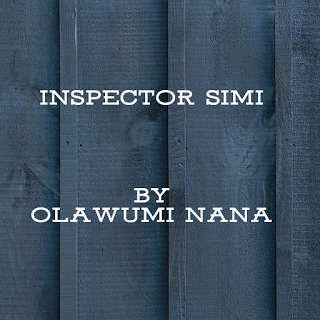 Oh sorry,I'm Inspector Simi NPF and this is Sergeant Hassan. We would like to talk to you, Mr Chet" I said showing him my badge.
" Well just to ask a few questions about one Miss Aliya who worked here some months ago"
" Well Inspector,any one can leave the club anytime,I do not force my employers to work for me"
" Inspectors! Who told you thay,........she's just a dancer"
" She did,Aliya said that herself"
It was then he knew he had given himself away. He quickly muttered this words " as in .......,I mean......emmmm...she's dead to me,she left without telling anyone"
" Mr Chet,I thought you said your employers can leave any time. You are contradicting yourself. You seem to know something we don't know. Aliya is just missing,she hasn't been decleared dead"
" Officers,look I do not know what you are saying. By the way this discussion is over." He said as he left the room angrily. Hassan and I exchanged glances.. " Simi,we need evidence to nail this man,something tells me....he knows more." "Yes, Hassan said. I notice it too. OK,let's see if the scooter doesn't change direction at that round about in front,then we will do something"
" okay."..... I said. I brought out my phone and checked google map yo see if there is any dead end or road block close by..... Should in case we have to trap someone. We got to the round about and turnred " the scooter is stilling following us" Hassan did.
" Take a turn at the next right junction,there is a dead end there,you speed up. We will park and we gonna come out." I brought out my pistol from the car safe and held it in my hands. Hassan understood what I was doing,he just smiled. We got to the junction and Hassan did as I have told him. Hassan brought out his gun too and we came down from the car.
" Freeze,its NPF,raise up your hands and do not move,otherwise we'd shoot" I shouted at the top of my voice.